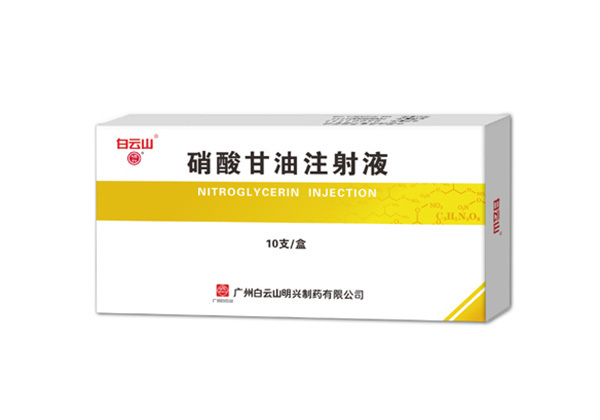 【Ingredients】 This product is mainly composed of: nitroglycerin. Accessories: anhydrous ethanol. 【Indications 】for the treatment and prevention of angina pectoris, can also be used to lower blood pressure or treat congestive heart failure. Dosage injection: 5% glucose injection or sodium chloride injection diluted intravenous infusion, the initial dose of 5u / min, the best infusion pump constant speed input. For lowering blood pressure or treating heart failure, it can be increased by 5u / min every 3 ~ 5 minutes. If it is invalid at 20ug / min, it can be increased by 10ug / min, and then 20ug / min. Patients vary widely in their individuality. There is no fixed appropriate dose for IV infusion. The dosage should be adjusted based on individual blood pressure, heart rate, and other hemodynamic parameters. 【Storage】 shading, sealed, in the shade (not more than 20 ℃) preservation. 【Packing】 colorless ampoule. Each 1ml, 10 per box.